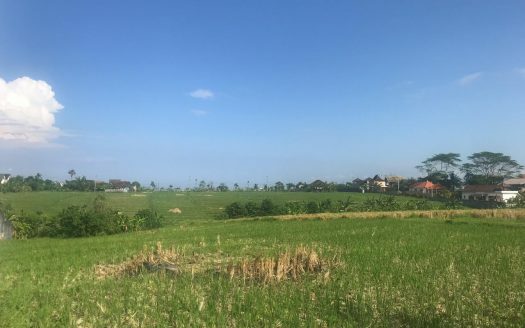 This large property of 2150 sqm of land is one of the best remaining large residential plots in this part of Berawa, Canggu. Walking distance to some of the areas most in demand cafes and under 3 minutes by car to Finns Recreational Club or Finns Beach Club. 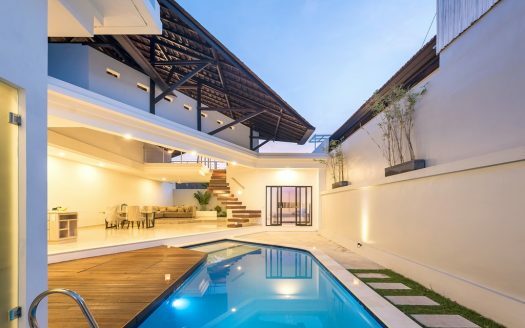 This property is in one of the most desired locations for full time residents in Bali. Currently selling for less then land value, the property also includes a large 4 bedroom house and large staff quarters. The property does require some renovation work to be done, but with such an attractive selling price you could renovate and then either sale for a good profit or rent out the property on a yearly basis. The demand in this area is growing every year due to the proximity of some of Bali’s best international schools, Canggu’s famous beaches and lifestyle destinations while simultaneously only being 15 minutes away from the top notch restaurants and cafes of Seminyak. Definitely one of the best properties on the market at the moment for that investor looking to generate strong returns or for that family wanting to build a large beautiful residence in one the best areas in Canggu.